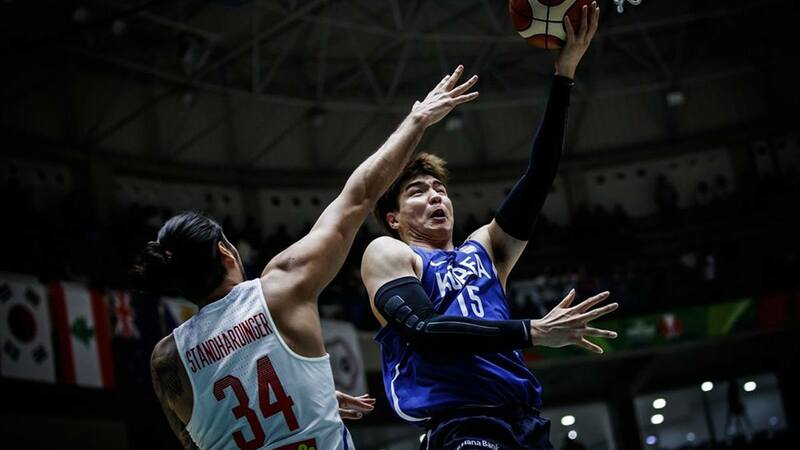 The Philippines men's national basketball team fell short against Korea, 91-82, in the quarterfinal round of the 2018 Asian Games in Indonesia. After the Gilastopainters were up in the second and third quarters, the Koreans forced crucial turnovers and shot the lights out from behind the arc in the final canto to pull away for good. 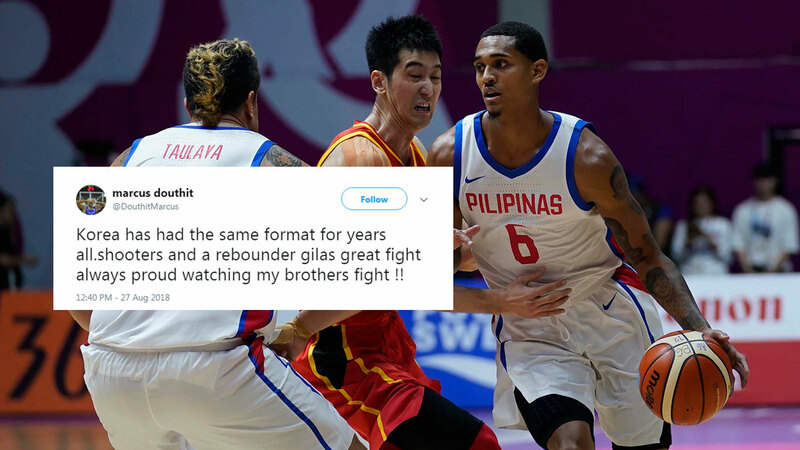 Jordan Clarkson once again came alive in the third to lead a balanced PH attack with 24 points and eight rebounds, while Christian Standhardinger almost tallied a double-double (16 pts 9 reb), but it still wasn't enough to break the Korean curse. Former PBA import and naturalized SoKor player Ricardo Ratliffe carried his team with a monster 30 points and 15 points, as He Il-young and Kim Sun-hyung contributed 17 markers apiece. Stanley Pringle finished with 14 points and Paul Lee had 11 markers and five assists. Proud of coach Yeng Guiao and his boys, still, Pinoys expressed their collective heartache on social media.